Wolf Gang is a tactical turn based game where you play as a band of wolves as they make their way around the mountain, pursuing their territorial aspirations while fighting other animals. 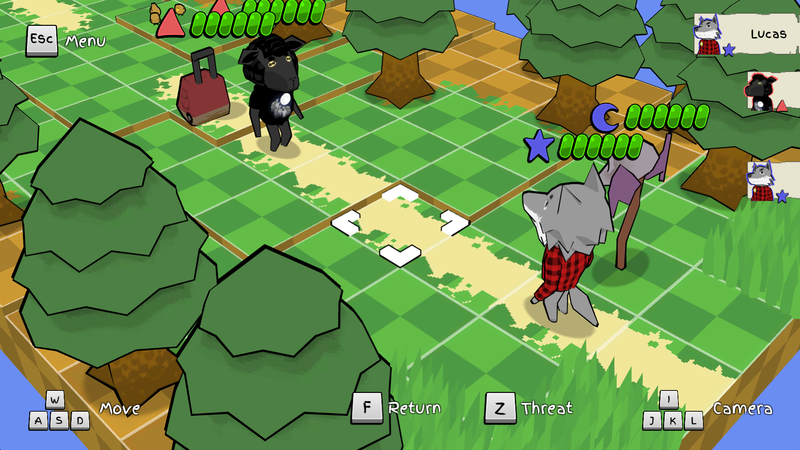 The combat revolves around a unique rule set that puts the tides of advantage constantly in flux. Knock outs are only temporary, and the traditional rock-paper-scissors strength and weakness hierarchy is subverted with a system of constantly rotating attunements. 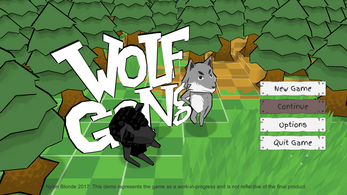 Version 0.7 is now available as an update! This version has taken a bit longer to produce because a lot of the changes issued required a complete rework of existing systems and could not be published until those things were back in working order. 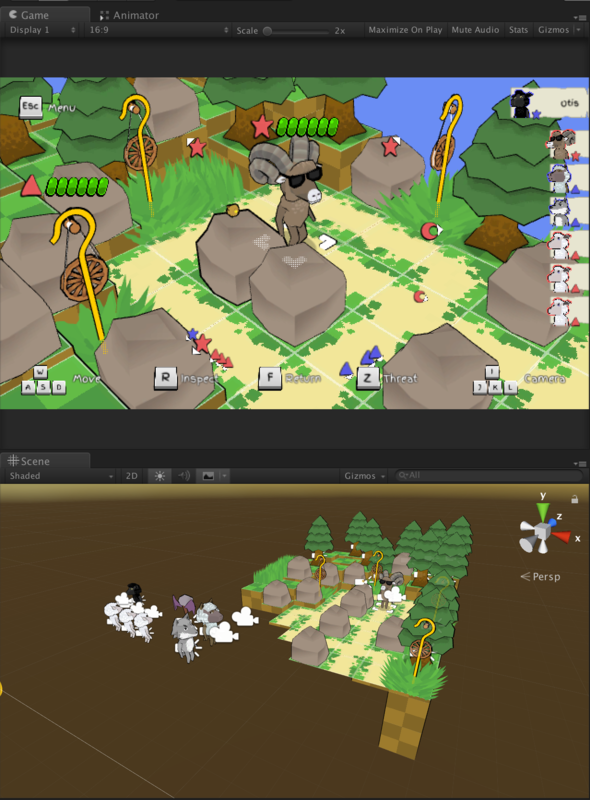 The two most dramatic but less noticeable of those things being a complete replacement of unity's input manager (and the accompanying required refactoring of all input logic), and the refactoring of the game controller to facilitate the eventual introduction of multiplayers game modes (something the original game was not designed to account for at all, much to my own chagrin). 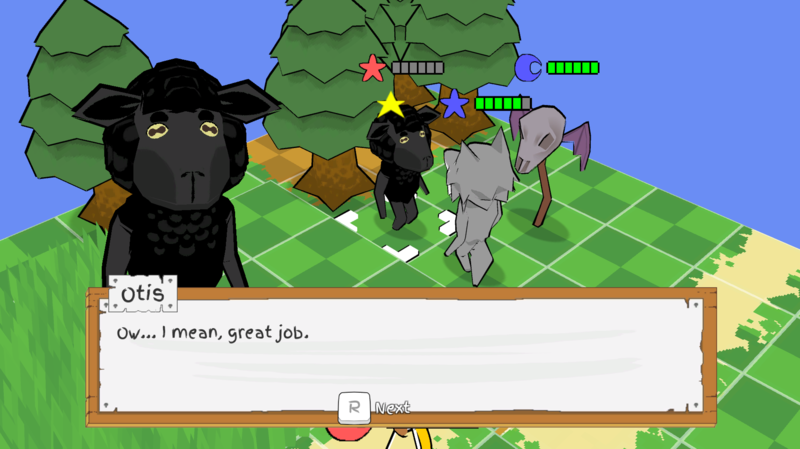 On top of these more dramatic changes to the core game, development has slowed a little over the past 2 months as I have had to take on part-time work in order to... well, survive, which eats into the amount of time that can actually be spent on the game, of course. Since this update has been in the works for a while, and so many bugs have emerged and been fixed in a way that I can't really remember what was in previous versions and what was the result of my meddling, this changelog is going to be a little less formal and take on more of a blog format to hopefully highlight all of the actual changes. First and foremost, one of the first things you'll notice is that there are a lot of new graphics for some HUD and UI elements, all thanks to the talents of J Mackenzie Graham. 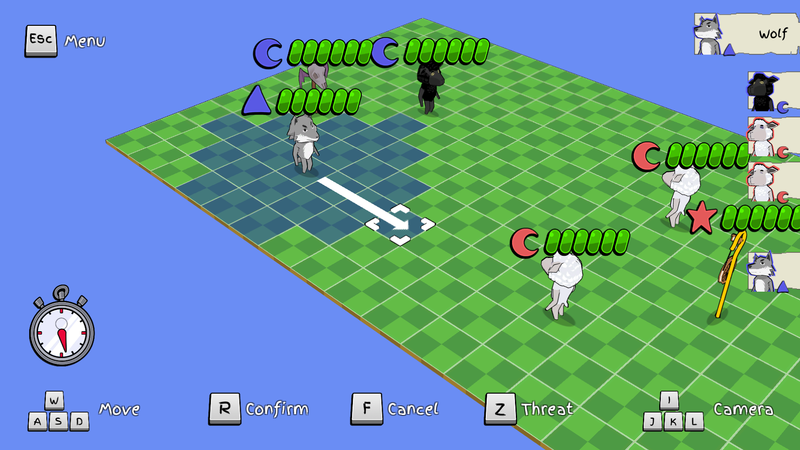 The health bars are a massive improvement, are far more animated now than they previously were. The images representing the attunements are nicer, the key bindings images are more crisp and sleek, and there are now button graphics for Xbox and Playstation controllers. Speaking of Xbox and Playstation controllers, game pad support has been improved dramatically, which is essentially what necessitated a complete overhaul of the input manager and input controllers. 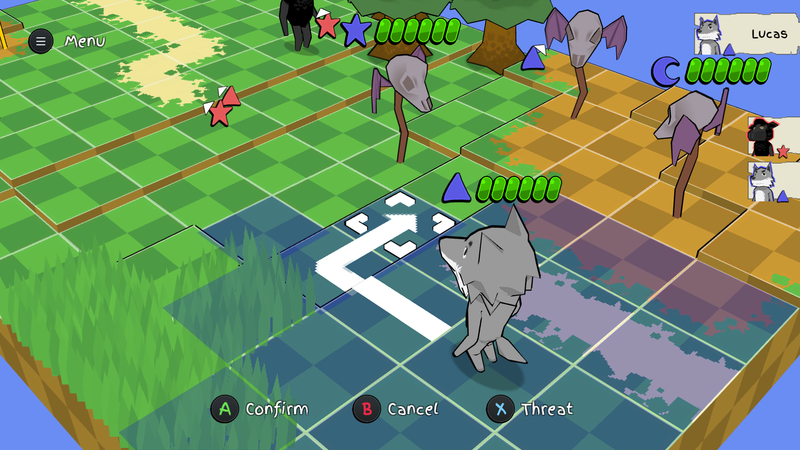 I found through playtesting that a lot of players were drawn to move the cursor with the analogue stick, but that the analogue stick presented a spacial disconnect on an isometric grid where up actually represents a diagonal movement. Furthermore, the ticking, digital movement of the cursor felt unnatural with analogue controls, so when steering with the analogue stick, the game uses 1:1 movement and will "snap" to the closest tile. 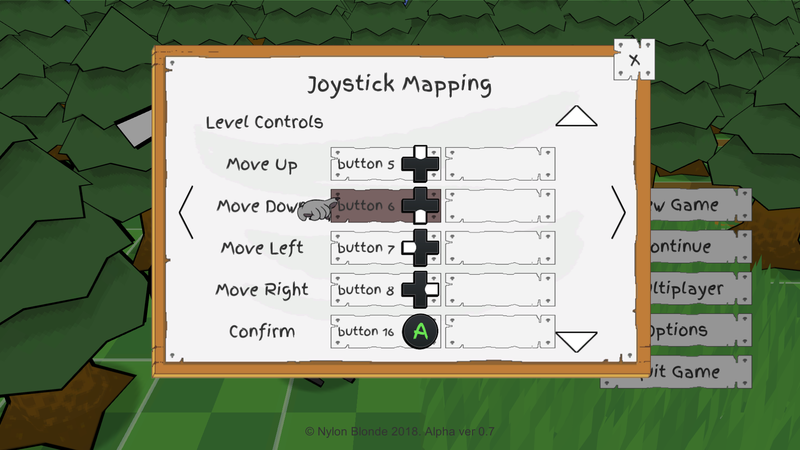 D-pad controls still have traditional grid movement, and this is thankfully all now customizable from an in-game menu. Current controller configurations which are supported include Xbox One on Mac (using the 360Controller driver), Xbox One on Windows, DualShock 4 on Mac and PC, and DualShock 3 on Mac. A controller configuration menu will be added later to accomodate other controllers as well in a later update. 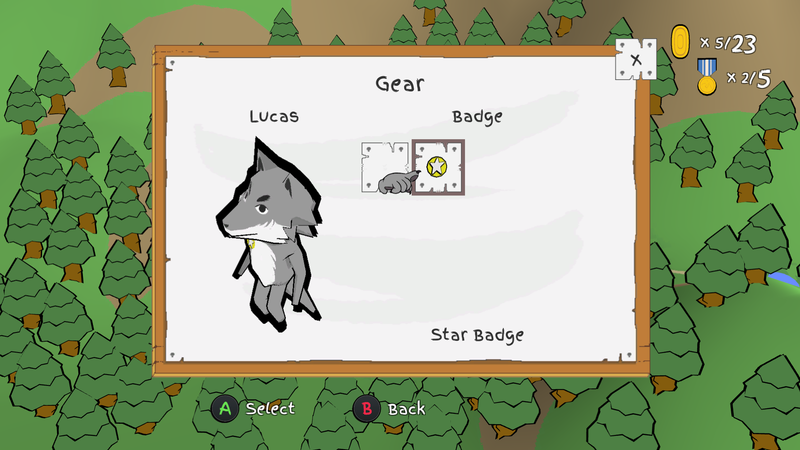 Other changes include some new clothing items which can be purchased from Willy using the coins you've collected, including a new badge type that gives an attack buff to characters attuned to the star (the water badge can still be purchased in a newer, as-yet unfinished shop area). 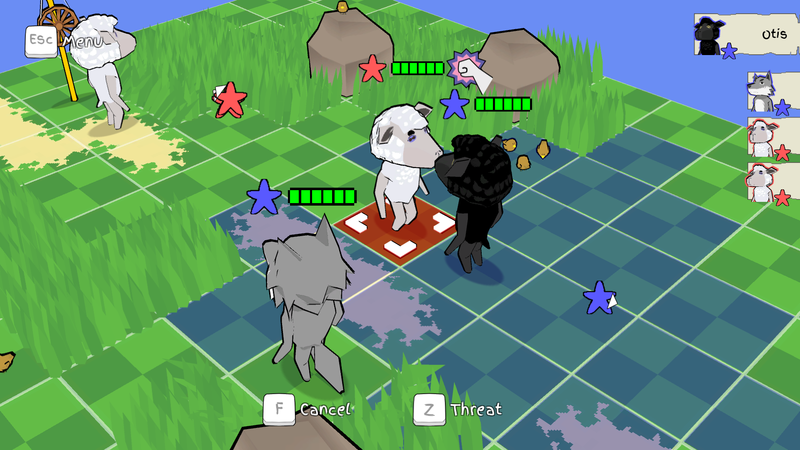 As the online multiplayer still requires a lot of features (currently only quick matches are implemented, and there are still rare sync issues), I've included a simple local hotseat multiplayer so players can try it out. 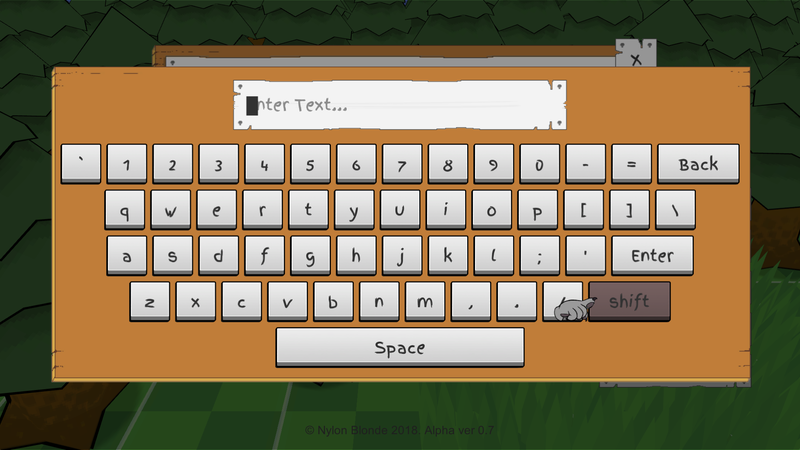 Some additional infrastructure required for online multiplayer has also been included (such as this swanky software keyboard I had to develop because the unity UI text input is so intrinsically locked into its input manager which I replaced). 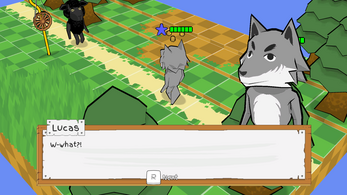 With a lot of the input refactoring, some improvements have also been made to how mouse controls function. 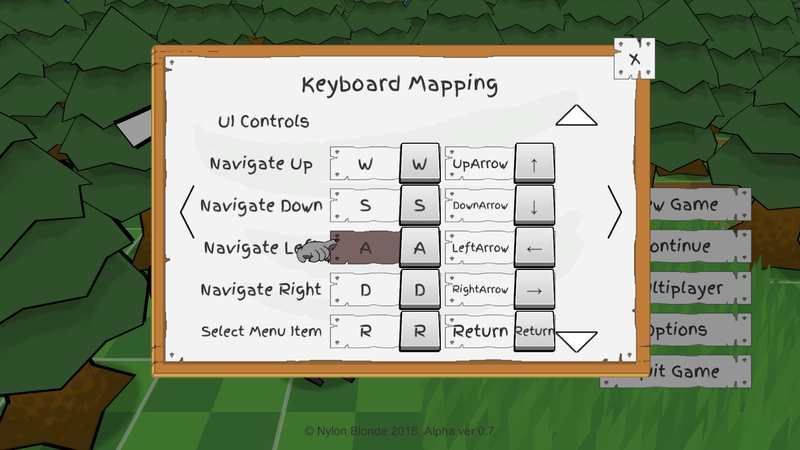 Mouse movement does instigate the movement arrows even in keyboard controls so that it is less jarring if you switch between them frequently. Similarly, camera panning controls have been smoothed and improved. And finally, as I am prone to be obsessive about optimizing, some new optimization improvements have been brought about to the way tiles are drawn and culled as well. This is a bit more technical so I will spare the details, but basically: tiles will only render the areas that would be visible (instead of how it previously drew the entire height of the tile), which saves up to the tens of thousands of verts in certain levels. Culling is much tighter now, and is now based on the visibility of tiles rather than just a broad margin around the camera's focal point, which was a bit messier. Previously, in order to spare draw calls, tiles meshes were combined into one any time that the camera moved and detected a change in tile visibility. Instead of repeating mesh combines that have already occurred, meshes are now cached, since the mesh combine can be pretty CPU intensive. UItimately, these changes should make the game run a little better on older machines and anything with an integrated graphics card.